Hanoi, 8th August 2018, StoxPlus signed the Business Registration Data Supply Agreement with the Business Registration Supporting Center (“BRSC”) of the Agency for Business Registration Administration (“ABR”) under the Ministry of Planning and Investment of Vietnam (“MPI”) as distributing and reselling business registration information and financial data of enterprises registered in Vietnam. Under the Agreement, StoxPlus is recognized as a Business Partner and a Data Vendor who processes, analyzing and distributing the data to market in order to support the market transparency and enhance the investment and business environment of Vietnam. The data consists of business registration information including corporate identity information, profiling data, ownership details and changes; and financial information. The scope of data covers all types of enterprises including domestic enterprises, foreign direct investment enterprises and State-owned enterprises established and registered under the Enterprise Law. 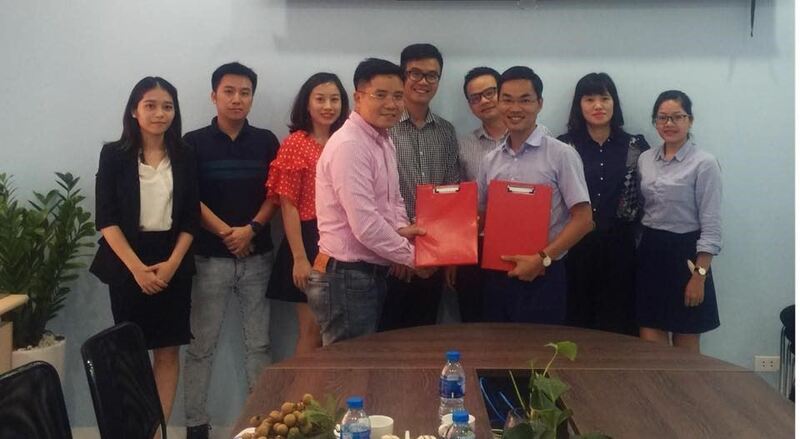 The Partnership helps StoxPlus occupy a comprehensive database about almost all registered enterprises (more than 1 million records) in Vietnam with frequent updates for further data cleaning-up works, data validation and standardization for our products and services including Company Credit Report, Company Comprehensive Report and analytics under platform-based services being developed for the market. The Partnership also helps reduce turnaround days in delivering our report services to clients thanks to automation and research efficiency. The Partnership also helps ABR and the State agencies to promote the market information transparency, improve investment and business environment and in turn it supports the improvement of trade and capital flows between Vietnamese enterprises and the World. ABR is the Government agency responsible for operation and management of the Vietnam National Business Registration Database which is one of the six National Database Initiatives under the development of e-Government for Vietnam following Decision 714/QD-TTg dated 22 May 2015. ABR under MPI is the coordinating agency to develop and consolidate the business registration database from all 63 provinces for more than 1 million enterprises. The consolidated database has helped improve the administration of new business registration, corporate insolvency, and corporate financial health across industries and provinces in Vietnam. Under the Decision 1852/QD-BKHDT dated 28 December 2012, ABR is the management unit of National Business Registration Portal and is responsible for management, operation and mining Information System of national enterprise registration. The financial information operating by ABR is sourced from the General Tax Office of Vietnam under the Ministry of Finance under the Inter-ministry Circular No. 01/2016/TTLT-BKHDT-BTC dated 23 February 2016 of Ministry of Planning and Investment and Ministry of Finance on Guidance for Corporate Information Exchange between the National Business Registration Information System and Taxation Information System. Established since 2008, StoxPlus, an associate company of Nikkei Inc. and QUICK Corp., is proud of being a leading financial and business information corporation in Vietnam. We operate with two main lines of business including (i) financial information services named as Fiinform with FiinPro Platform as a main product and related services including datafeeds and financial websites; (ii) business information services named as BiinForm with company and industry reports under Biinform.com portal, customiseable research and market entry advisory. We help clients analysing and making informed their decisions. Our customers include both users from (i) financial sector including securities firms, fund managers, banks, insurance companies, research and financial advisory companies and other financial and investment institutions; (ii) trading, service and manufacturing companies, import and export traders, international trade promotion organisations both locally and internationally. StoxPlus is also the first to develop an in-house built platform such as FiinPro for thousands of users working for financial institutions and sophisticated investors.